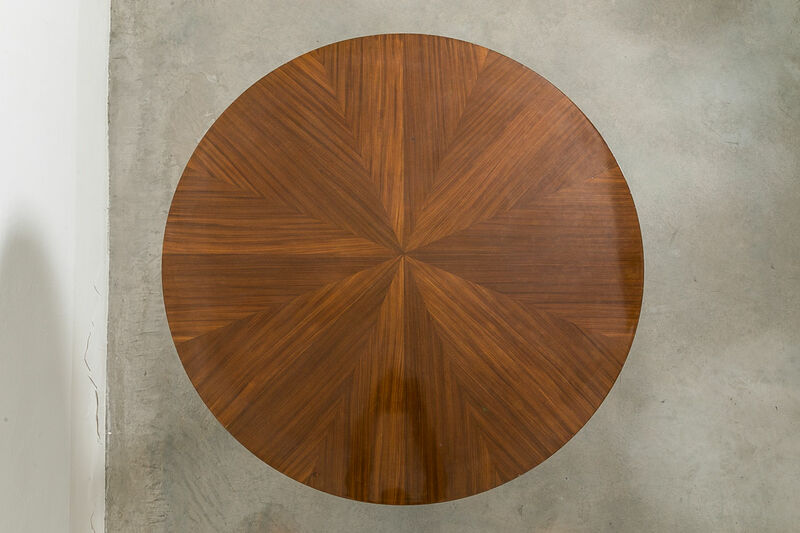 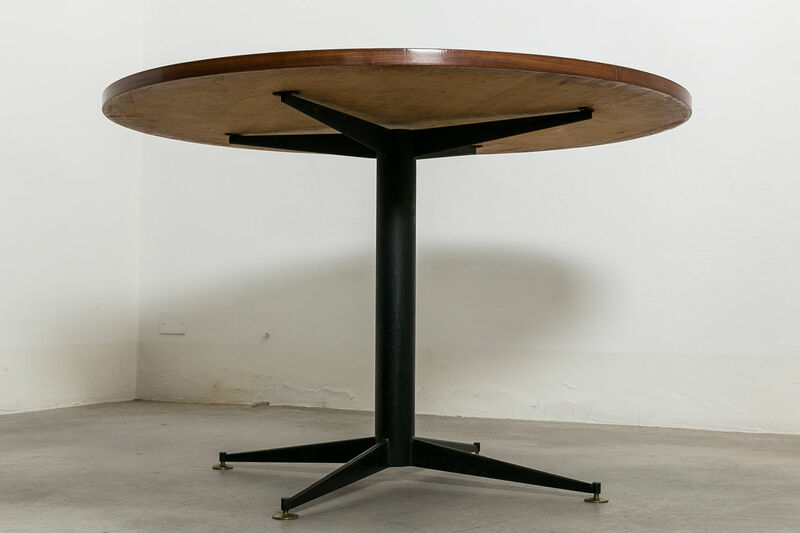 Circular Dining Table by Vittorio Nobili, Circa 1950, Italy | Castorina & Co. 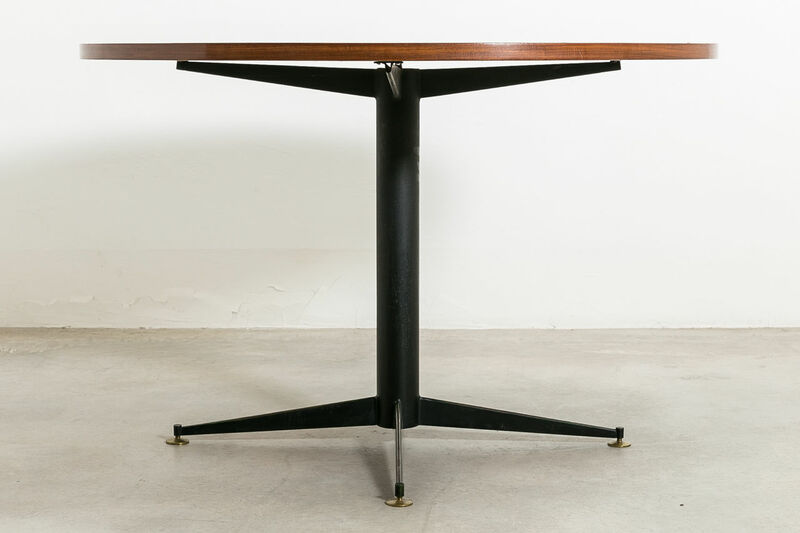 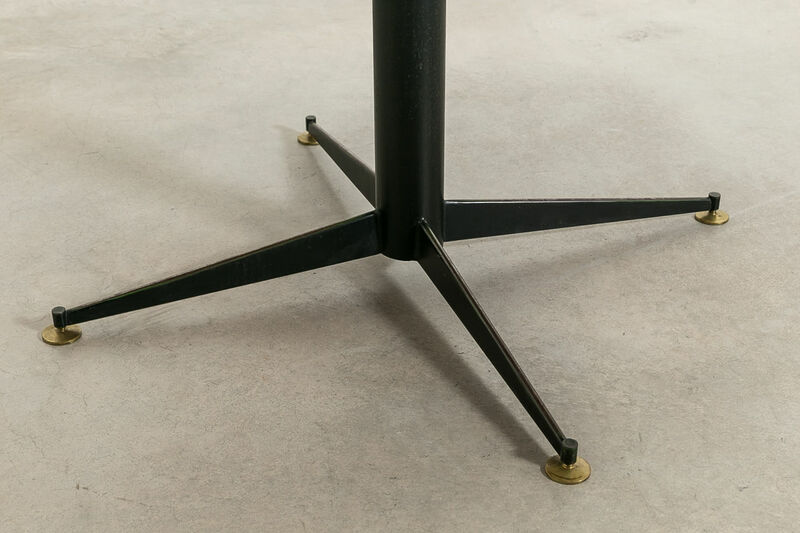 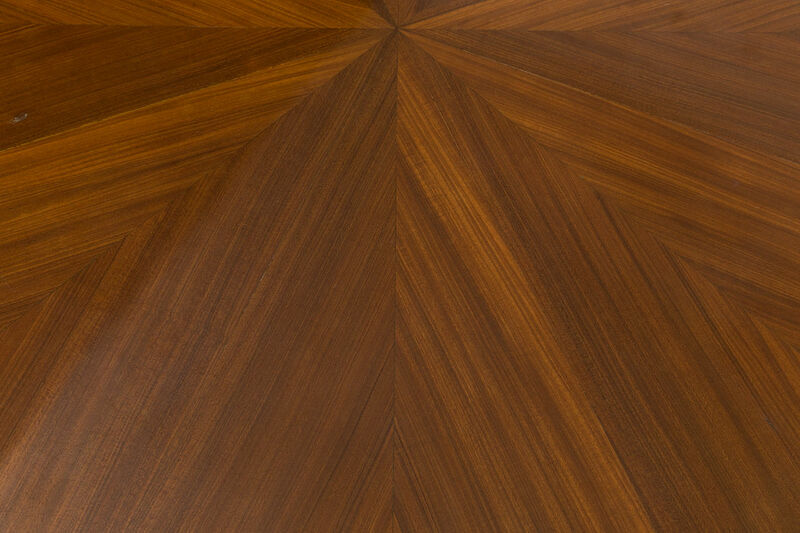 Dining table by Vittorio Nobili, manufactured by Fratelli Tagliabue in the 1950s. 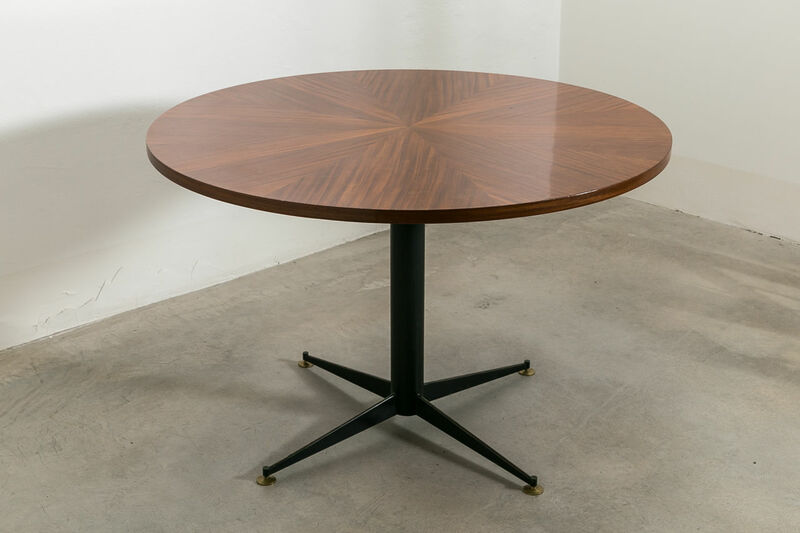 Wonderful veneered oak surface on Italian mahogany, brass feet are adjustable.